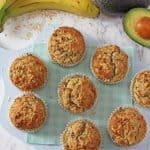 Delicious Banana & Egg Mini Muffins made with just three natural ingredients. 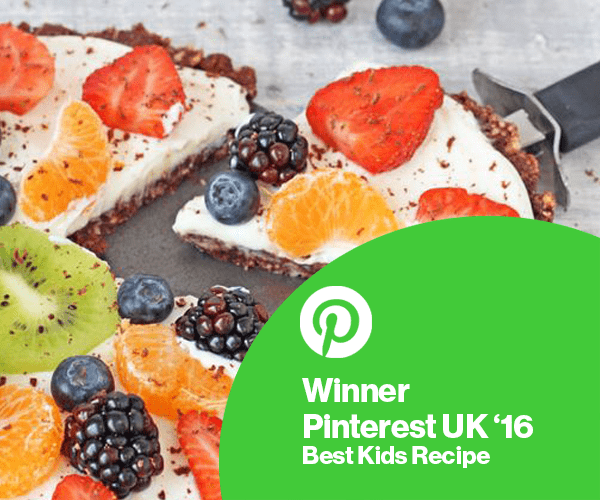 Perfect for baby weaning and toddler finger food too! 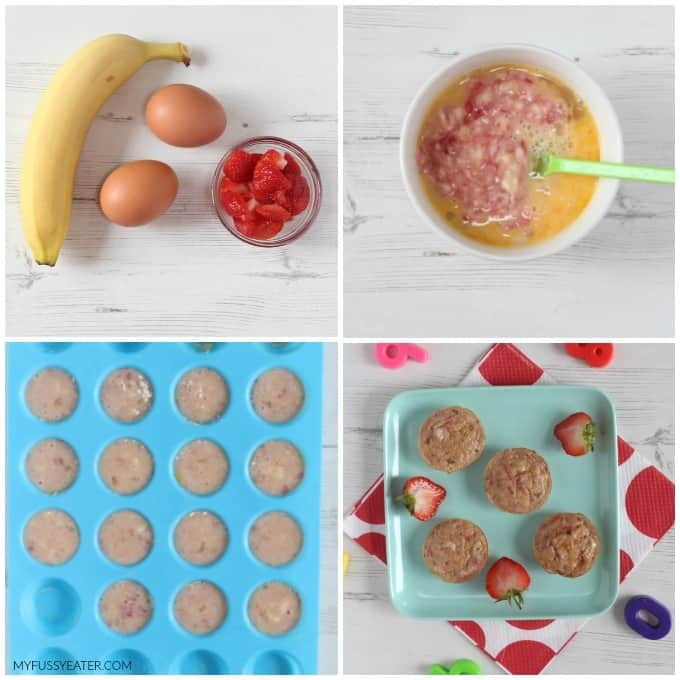 I get asked quite a bit on Instagram in particular about ideas for baby led weaning so today I’m going to share this super easy recipe for Banana & Egg Mini Muffins. 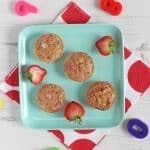 Finding finger foods for weaning babies that are soft can be tricky but these muffins are perfect for babies with little or no teeth as they are really soft but also easy for them to hold. 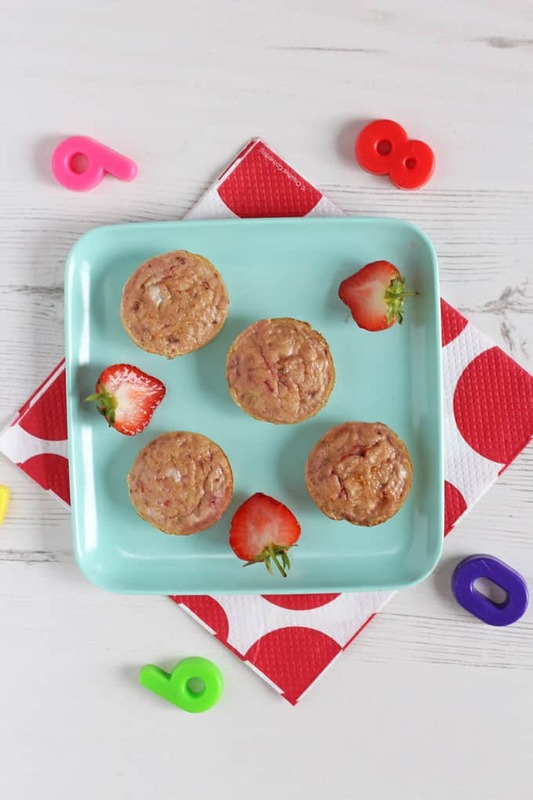 The muffins are made from just three natural and healthy ingredients – eggs, banana and strawberries. 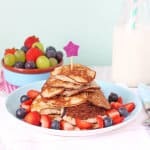 I used fresh strawberries but out of season it is absolutely fine to use frozen ones, or even swap for another type of berry like raspberries or blueberries. 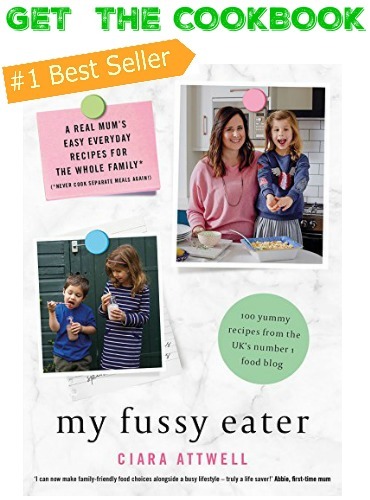 Not only perfect for baby weaning, these muffins make a brilliant finger food for toddlers too, or even a little snack for older kids. With no added sugar and sweetened only by the fruit, these mini muffins are really nutritious and a great addition to your family’s diet. If you are wondering which muffin tray I used for this recipe you can find it here! Whisk the eggs in a bowl. Mash the banana and strawberries, add them to the eggs and mix well. Pour the mixture into a greased mini muffin tray. Bake in the oven at 190c / 380f for 12-15 minutes or until the muffins are cooked through. Serve immediately or store in a sealed container in the fridge for 2 days. Suitable for babies from 7 months old. Is it safe to eat these cold? So yummy! I used mashed blueberries instead of strawberries and came out amazing! 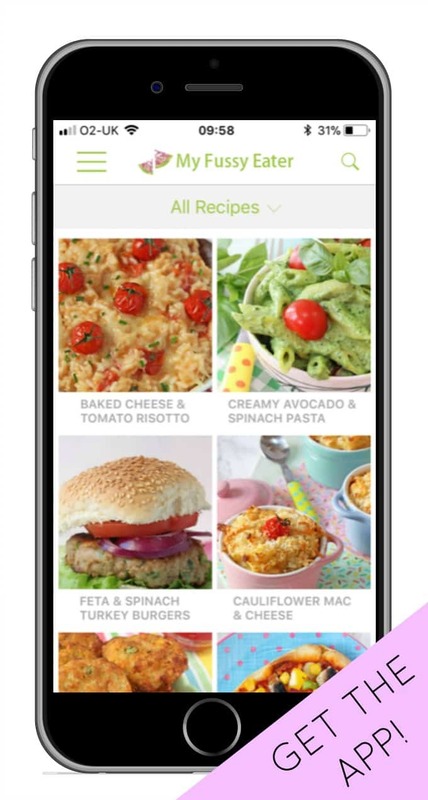 Such a quick and easy recipe. My baby loved it as well? 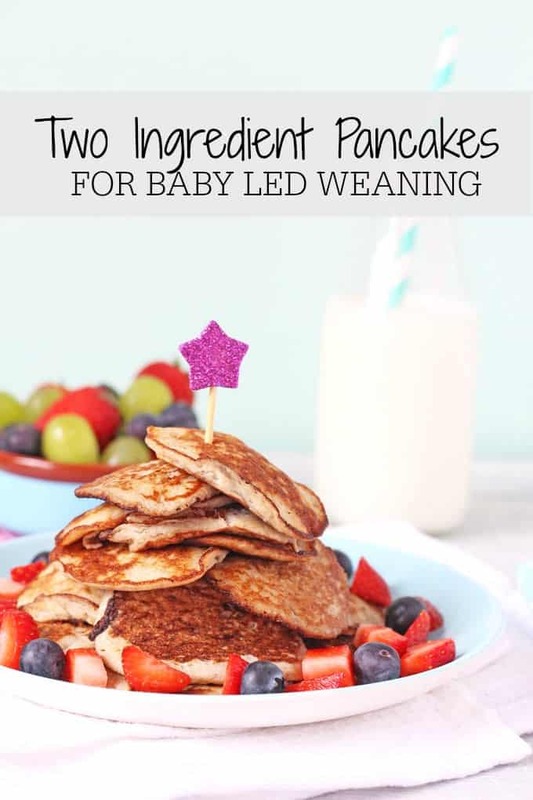 So good to find a simple recipe for baby led weaning. My little girl really liked these so will definitely make again. My 18 month old girl really liked these. They’re so soft so are easy for her to eat as she doesn’t have many teeth yet. my baby would not eat this. i guess they all have their own tastes. I can vouch for this recipe! 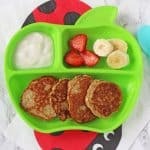 At first I wasn’t sure a “sweet omelette” would be appetizing, but my 7mo loves these better than any other BLW muffin I’ve found. She’s a little allergic to strawberries so I make with raspberries. It is important to cook them through, otherwise they fall apart and are harder for baby to eat. Thank you for the recipe. Hi, yes you can use other fruits like pear or apple but I would suggest maybe cooking them slightly to make them easier to eat! Hi Claudia, yes it is like a sweet omelette. Perfect for babies! Hi. Is it possible to freeze the muffins at all? They can be frozen but they are best eaten fresh or kept in the fridge.